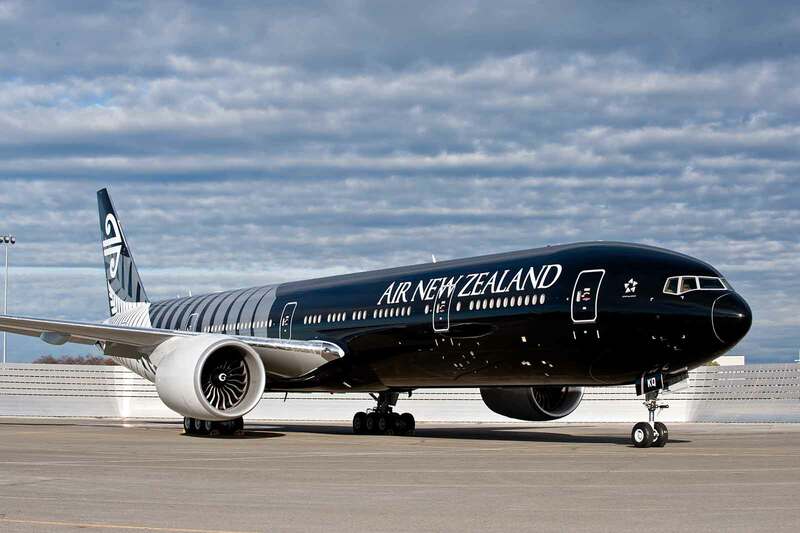 Air New Zealand has begun Buenos Aires flights after touching down at the Ministro Pistarini International Airport in Ezeiza, Argentinians. Flight NZ30 departed from Auckland at 7.20pm last night and arrived in Buenos Aires at around 7.00am this morning New Zealand time, after a 12 hour flight across the Pacific. 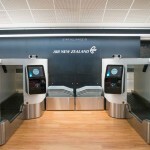 The inaugural marks Air New Zealand’s first scheduled service linking New Zealand and South America. 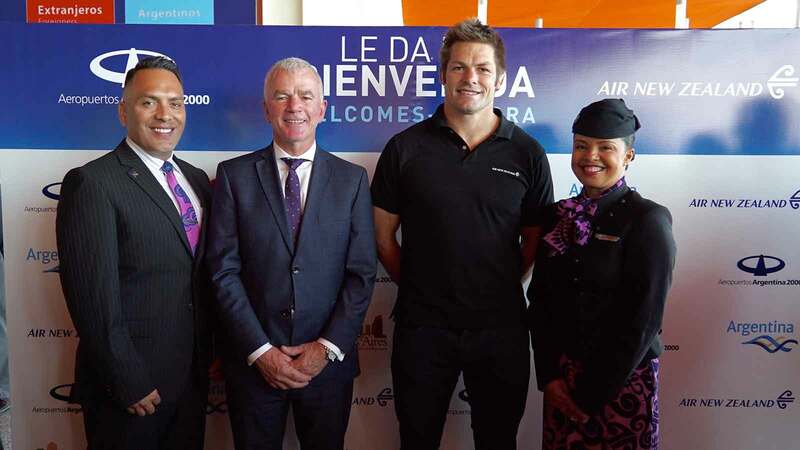 In a colourful mix of cultures, passengers disembarking today’s flight – including special guests Air New Zealand ambassador Richie McCaw and Associate Minister of Tourism Hon. 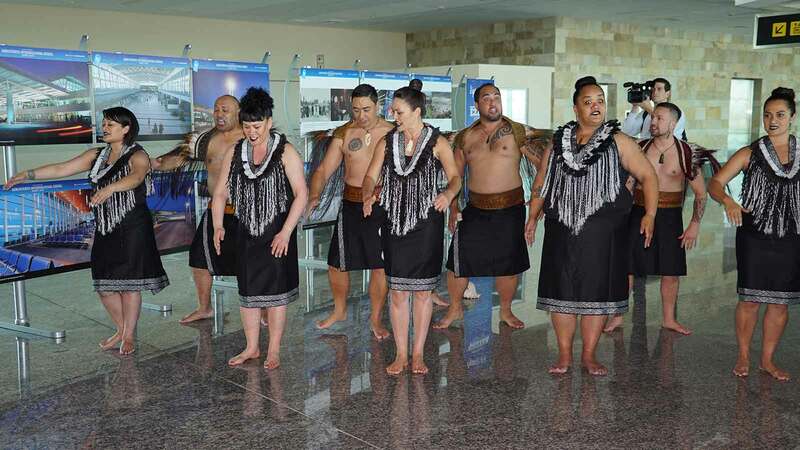 Paula Bennett – were treated to a rousing Whakatau welcome and a display of Argentinian tango dancing inside the terminal. The airline will fly between Auckland and Buenos Aires three times a week using its Boeing 777-200 aircraft offering award winning interior products including lie flat Business Premier beds and comfortable new Premium Economy seats. 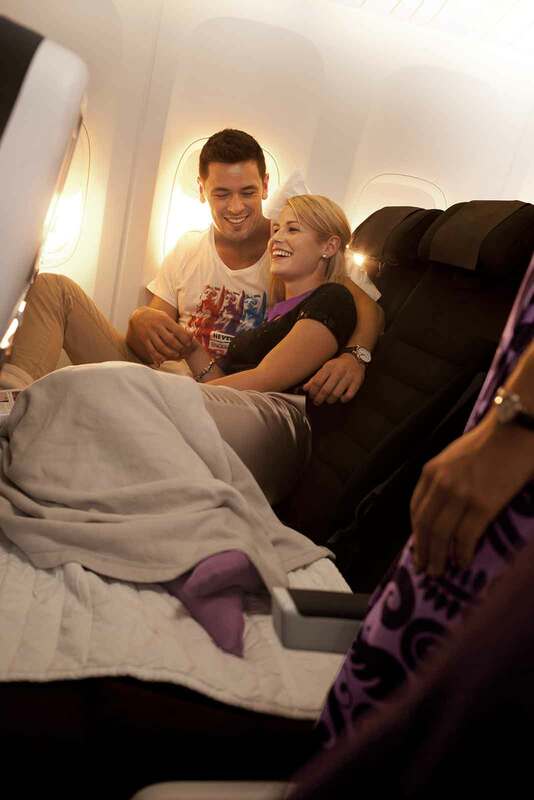 The new Buenos Aires flights will also introduce Air New Zealand’s unique Economy Skycouch™ to the South American market for the first time. Aerolíneas Argentinas has played an important part in making the service possible, and will code share on the Buenos Aires – Auckland route and on Air New Zealand’s trans-Tasman services to Sydney and Melbourne. Air New Zealand is working closely with Tourism New Zealand to raise the profile of New Zealand as a holiday destination for South Americans with the Buenos Aires flights. This latest arrival into Buenos Aires kicks off a busy month for the rapidly growing airline. 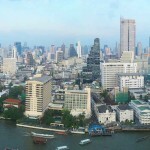 Next week Air New Zealand joins Air China to celebrate the inaugural flight of their alliance service between Beijing and Auckland and in two weeks’ time Air New Zealand will celebrate its inaugural flight to Houston, Texas, introducing direct travel into the heart of southern USA.